Blake's poems were a great influence for Nick's lyrics, and the music of J.S. Bach inspired some of his songs. Nick loved the music of Bach, I used to play the 'Badinerie' on flute for him, but he also loved Mozart (the Clarinet Concert was one of his favourites and also the Piano Sonatas KV 331 and 333) and other composers like Schubert, Mussorgsky, Ravel, Strawinsky and Grieg. Apart from classic music we listened to John Coltrane, Charles Mingus, Eric Dolphy, Miles Davis, The Band (The Big Pink) amongst many others. That eclectic mix of influences* is the crucible in which Nick Drake's music was forged, and an LP of the Brandenburgs was on the turntable in his bedroom when he died on 24th November 1974 aged 26. That is Nick in the photo above; he was born a year before me, and our paths may have crossed in St. Tropez in 1967. His music has been a constant in my life for many years: I first posted about him in 2005 and five years later made the pilgrimage to his resting place at Tanworth-in-Arden. The epitaph Now we rise and we are everywhere inscribed on his headstone is taken from the lyrics of the last track on Nick's 1971 album Pink Moon. For me that final album eclipses all his other work. Gone are the cloying Joe Boyd commissioned arrangement, and the tautness of the lyrics transcend the And at the chime of the city clock/Put up your road block un-Blakeian doggerel sometimes found on his earlier albums. 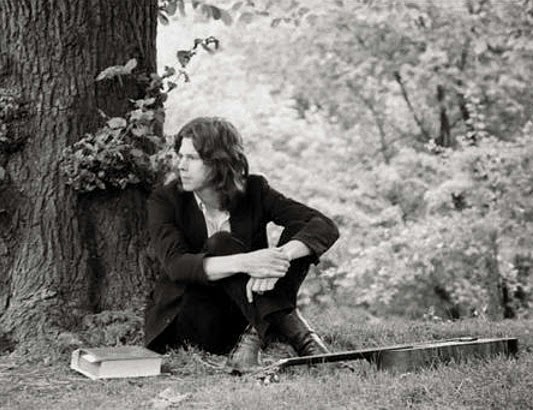 We can only speculate on the direction that Nick Drake's music would have taken if he had not died so young. But a newly released album gives a tantalising glimpse. On Time of No Reply French jazz guitarist Misja FitzGerald Michel and guests pay homage to Nick in sparse arrangements that discard his complex open tunings and eschew vocals on all the tracks except - significantly - Pink Moon. Nick recorded his Pink Moon album in just two late night sessions, and it plays for only 28 minutes. Misja FitzGerald Michel's Time of No Reply - video sample here - plays for just 38 minutes and is released on the No Format label, a record company that defies the "taste-formatting logic today reigning over the record-industry". Nick Drake blazed like a meteor across the 1960s music scene, and Misja FitzGerald Michel's homage to him blazes like a meteor across the dark skies of contemporary art music. * Header quote is from an online reminiscence by artist Sonja Wagner. No review samples were used in this post. Any copyrighted material on these pages is included as "fair use" for critical analysis only, and will be removed at the request of copyright owner(s). Also on Facebook and Twitter.